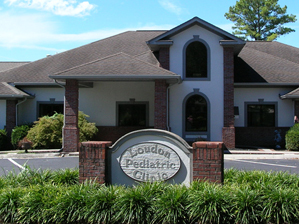 Our practice offers compassionate and evidence-based care to children of all ages since 1980 in the community of Loudon, Tennessee. Our office is staffed only by board-certified Pediatricians, and we provide same-day appointments and Saturday hours to accommodate the needs of our patients. Choose from the menu bar above or one the boxes below to learn more about our practice. With school back in session and temperatures falling, respiratory season is once again upon us. We strongly encourage all of our patients to be immunized against influenza, so call to schedule your child for vaccination as soon as possible. Also, review the importance of handwashing, not putting hands or fingers into the mouth, and coughing into a sleeve. If any illness symptoms seem worse than a common cold, we are always available for appointments on a same-day basis. Parents can go directly to our Patient Portal by clicking on the red button in the upper right corner of our website, or from the Menu on a mobile device. Google Chrome is the recommended browser for the using the portal.